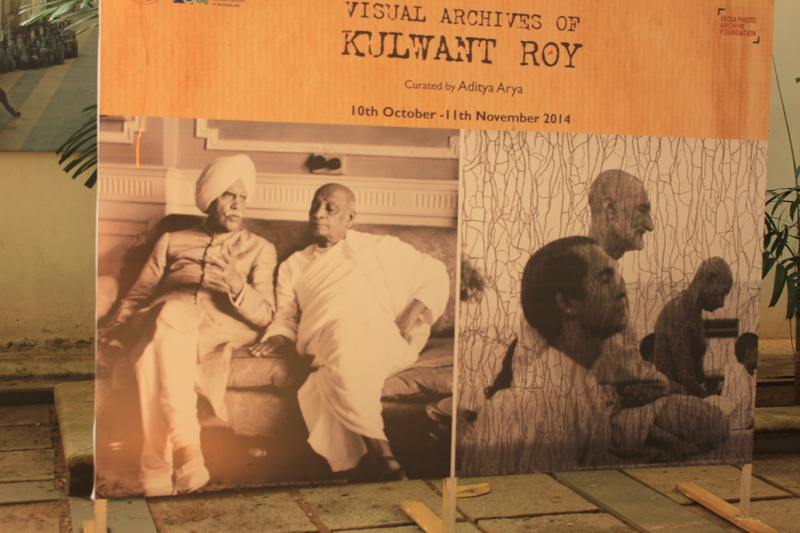 A photo by Kulwant Roy adorns an exhibition hoarding at the NGMA. 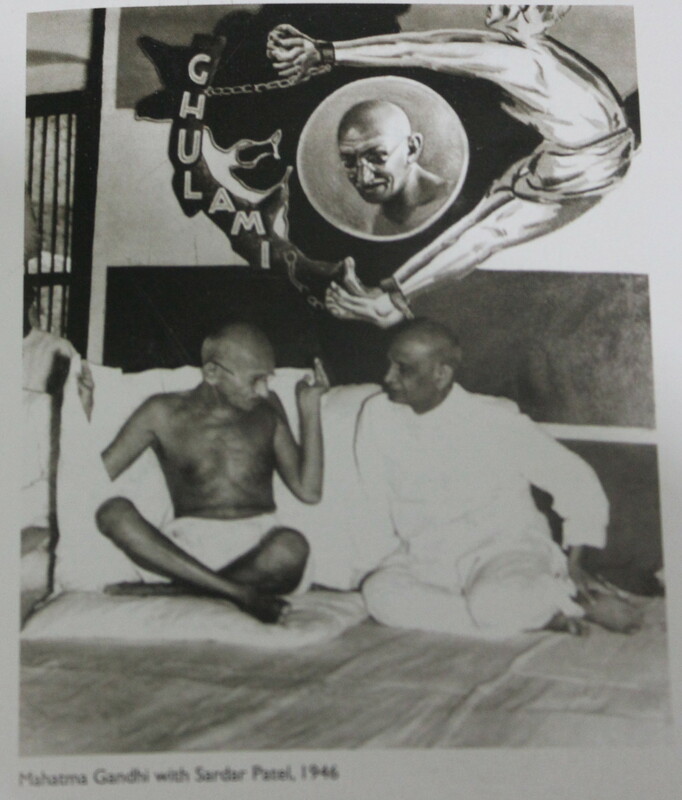 National Gallery of Modern Art (NGMA) commemorated Gandhi Jayanthi this year with a unique exhibition of black and white photographs from the collection of unheralded press photographer/photo-journalist Kulwant Roy. Not many know that Kulwant Roy was one of the most influential photographers of his time (pre- and post-independent India). His illustrious career spanned three decades from the 1930s to 1960s and had its roots in Lahore (then an integral part of India). He was one of the first freelance photo-journalists of India. While his photographs made a great impact especially in the political circles of those days they strangely faded away from public memory after he stopped working. He died a sad man in 1984 and very surprisingly his works got their due only recently. 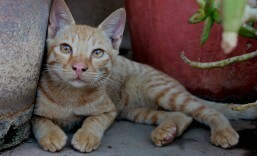 This is thanks mainly due to the meticulous work of his nephew, photographer Aditya Arya. 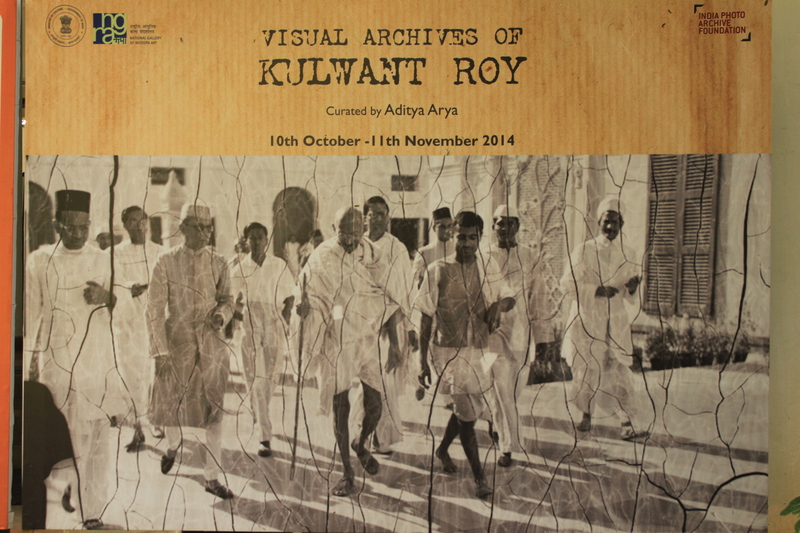 Kulwant Roy had bequeathed his entire collection of photos and negatives to Aditya just before he died. A photo developed from a cracked negative adorns an exhibition hoarding at the NGMA. The ongoing exhibition is curated by Aditya Arya and is a collaboration between the NGMA and the India Photo Archive Foundation. Among the photos on display are 200 digital reproductions and more than 100 original silver bromide prints. Some of the photographs are on display for the first time. With the passage of time, many of the silver bromide negatives developed cracks and this shows on many of the newly developed prints. Many have been touched up. The collection on display is a treat to the eyes and offers a great insight into the history of 20th century India. A majority of them are iconic images of decisive moments in Indian history which includes portraits of leaders, stills from meetings and glimpses into the lives of freedom fighters of India. There are many large reproductions of rare negatives. Also on display are the cameras (two Graflix cameras, a Leica, a Yashica and a Mamiya twin-lens reflex camera) and equipment used by Kulwant Roy. Here and there you can also see some of the contact sheets created by the photographer. 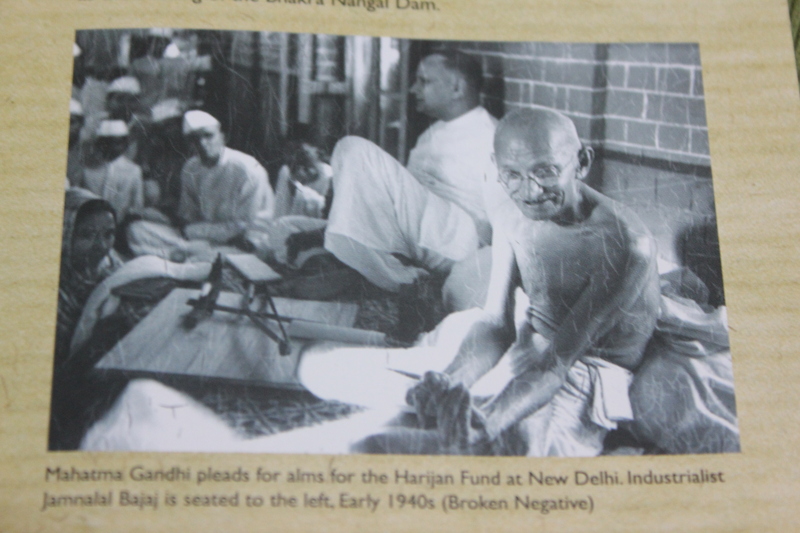 Among the many photos that stand out are that of Mahatma Gandhi alighting from a third-class train compartment and another where he is begging for alms for the Harijan fund. Gandhi always travelled third-class. There are photographs of Jawaharlal Nehru in many avatars including one where he is rinsing his mouth at a tap at Anand Bhavan, a picture on horseback, another as a cricketer and family pictures especially one with a very young Rajiv Gandhi. Born in Baglikhan, Ludhiana, Kulwant Roy was a strong and athletic man who had immense talent with the camera. 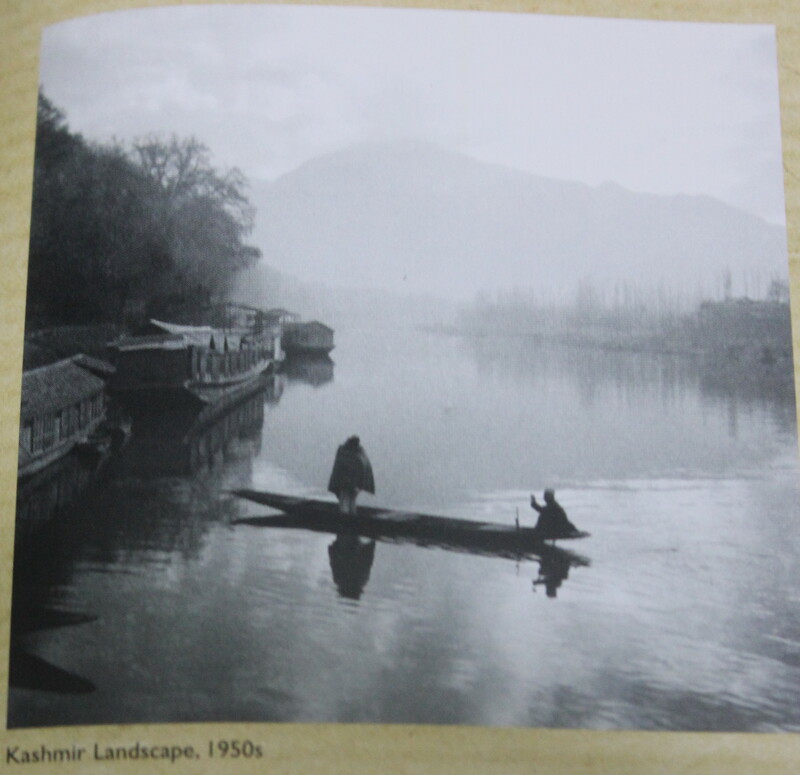 He learnt photography at Gopal Chitter Kuteer in Lahore under the tutelage of Lalit Gopal in the 1930s. 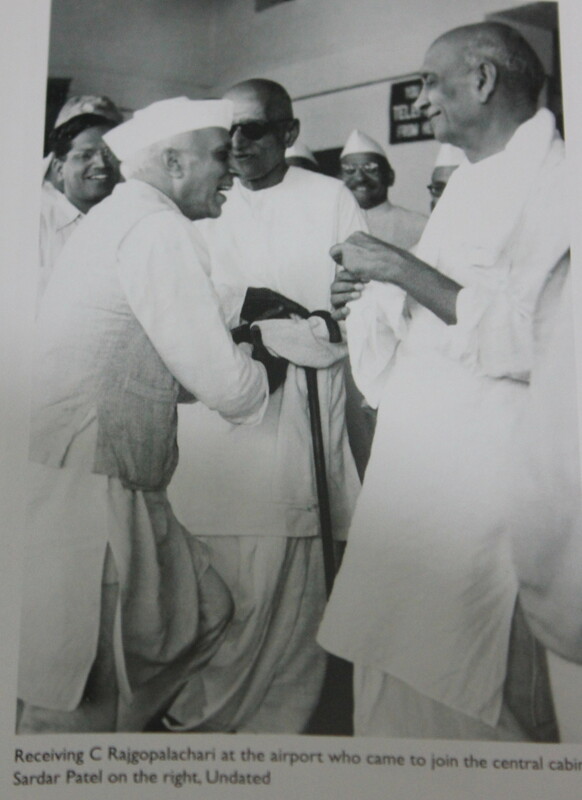 It was during this time that he captured activities of the Indian National Congress and also photographed Jawaharlal Nehru who was working as a Seva Dal volunteer in Kanpur. Nehru went on to become his favourite subject. In 1941, Kulwant Roy joined the Royal Indian Air Force (the IAF as it was known then). He trained as an aerial lensman in Kohat near Quetta. He was assigned with taking pictures of the turbulent North West Frontier Province (NWFP) with the help of specially designed cameras mounted on aircraft. His career with the air force didn’t last long as he was dismissed for disobeying a racist rule at the swimming pool. Roy made the best out of a bad situation by taking up work as a photojournalist at Lahore. 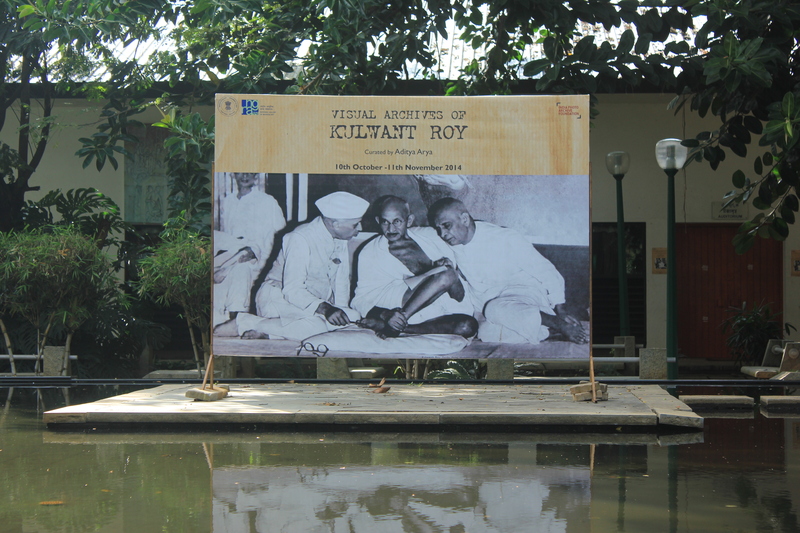 In the middle of his career, Roy started Associated Press Photos, his own photographic agency, at Mori Gate in Delhi. The exhibition starts with an introduction to Kulwant Roy and has pictures of him in Air Force uniform. 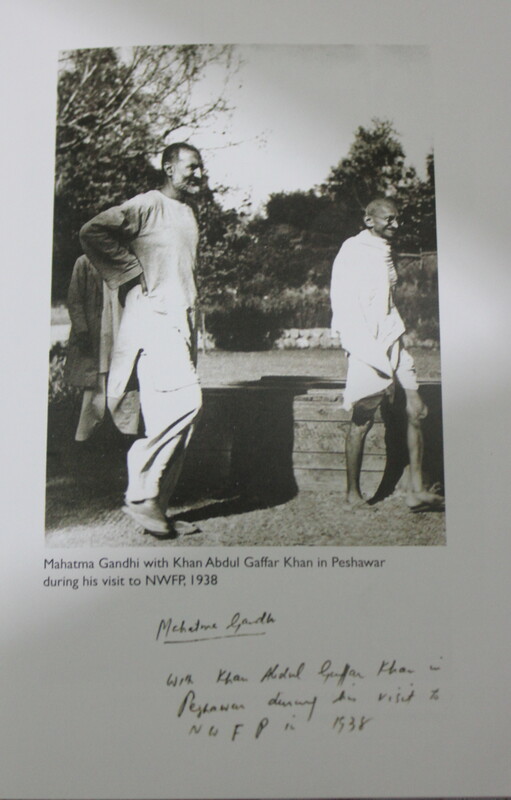 In 1938, Kulwant Roy again got to travel to NWFP this time with Mahatma Gandhi who went there to meet Khan Abdul Ghaffar Khan, popularly called Frontier Gandhi, who like Mahatma Gandhi was working on bringing peace to that region through his non-violent movement called Khudai Khidmatgar. 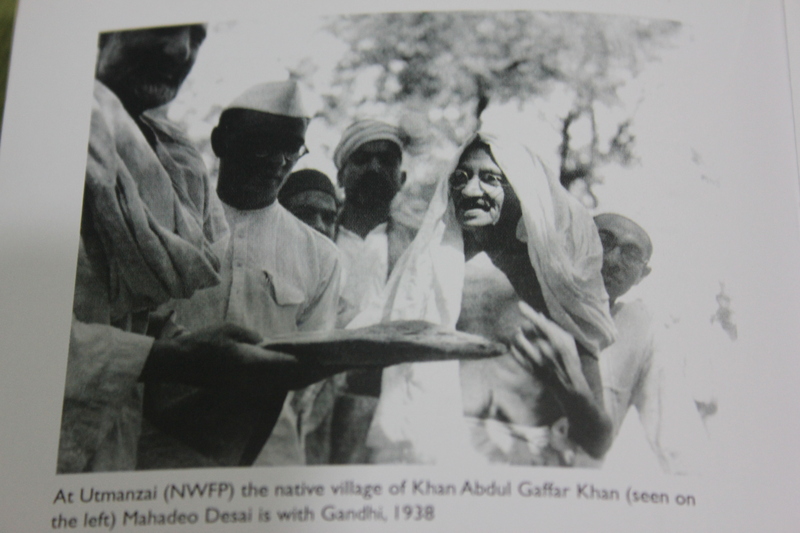 The NWFP collection almost all of which are low-angle photographs includes several candid photos of the two great leaders. These photos are even more remarkable because the leaders of those days were not camera friendly and photo-ops never existed. This also called for a great deal of efficiency because the photographers had to be very quick and at the same time perfect with their clicks. A section titled ‘A Life Behind the Camera’ provides glimpses into the lives of press photographers of those days and the great camaraderie that they enjoyed. 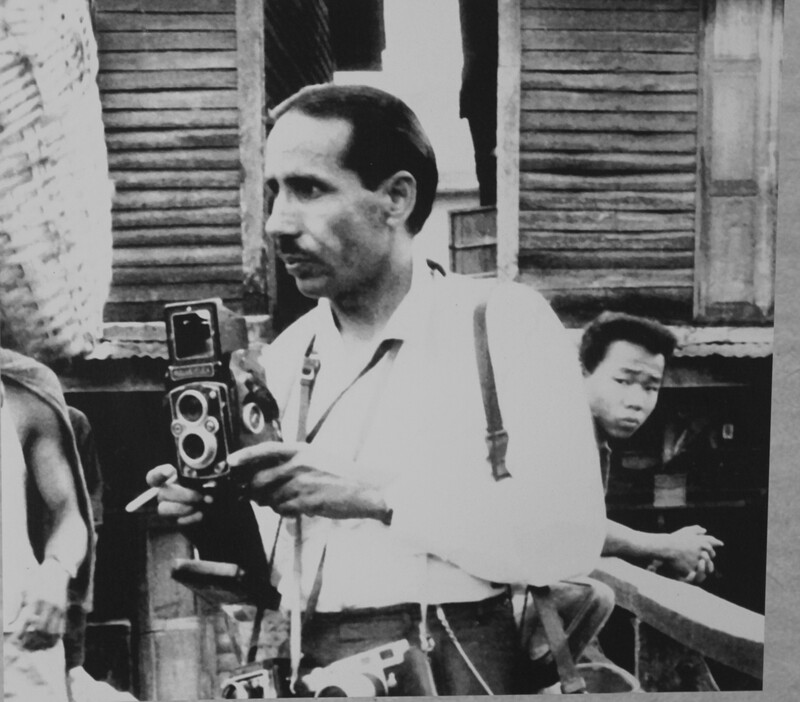 One of the photographs has Homai Vyarawalla, the first Indian female photojournalist. Clearly as can be seen from the photographs, back then the photographers enjoyed close proximity with the political leaders. Those days there were no barriers separating the leaders from the hoi polloi. Many from Bangalore would feel proud to see the picture of General KM Cariappa (later Field Marshal KM Cariappa) standing tall in a group photo at the Rashtrapati Bhavan. Kulwant Roy also went to the warfront. There is a section titled ‘Victory in War’ devoted to pictures from the 1965 Indo-Pak War. In 1958, Kulwant Roy went on a world tour that spanned 30 countries and took him 3 years. He took a whole lot of photographs. Towards the end of this long tour, he posted the photographs along with negatives to India. Unfortunately, the photographs never reached their destination. They must have got robbed, robbed and discarded or else got lost in transit. For a photographer losing so many photographs is a huge tragedy. For days after his return, Kulwant Roy rummaged through all the dust bins in Delhi but never found the photographs. This tragedy badly affected Kulwant Roy. He was never the same man again. The only memories of Kulwant Roy’s long foreign trip are a collection of picture post-cards that he sent to near and dear ones along with descriptions and experiences. A section has exclusive photographs capturing the moods of top leaders during the crucial meeting before the formation of the interim government. There are also rare photos of Jawaharlal Nehru with Indira Gandhi, Indira Gandhi in many moods, Jawaharlal Nehru reading the newspaper, Sardar Vallabhai Patel travelling by a hand-pulled rickshaw, Rajaji auctioning a football and more. Kulwant Roy was privileged with being the official photographer at both the Indian National Congress and Muslim League sessions. 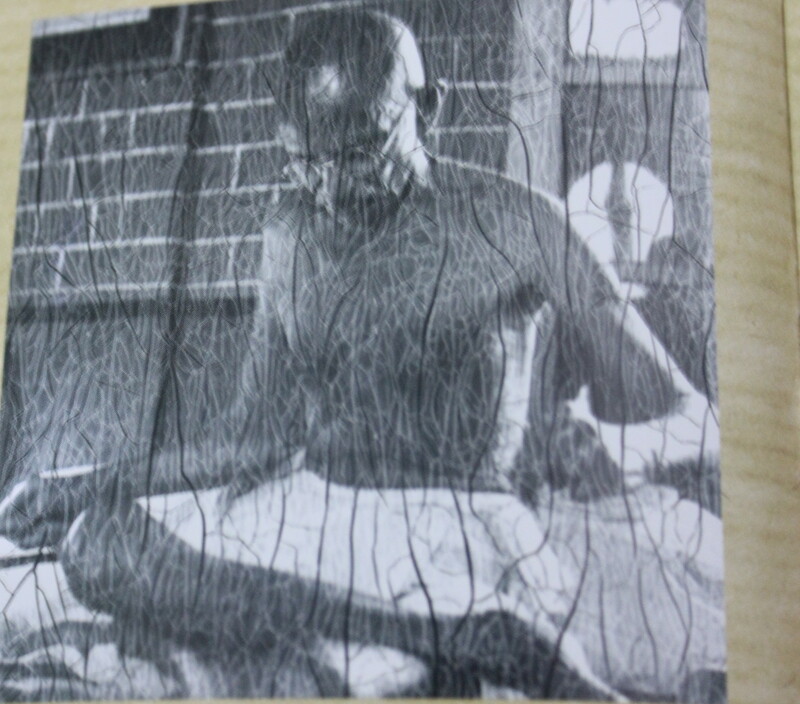 A picture that you cannot miss is one where Mahatma Gandhi and Muhammad Ali Jinnah appear to be arguing perhaps a portent to what was to come – the Partition. That Jinnah who once opposed the Muslim league and was all for secularism and one state, suddenly changed his stance is what many cannot make sense of. The section of photographs featuring the Indian National Army is very interesting. A couple of them feature Captain Ram Singh who composed the iconic song ‘Kadam Kadam Badaye Ja’ playing the violin heralding the arrival of Mahatma Gandhi. The section ‘Princely States: Sardar Patel and the Princes’ is dedicated to pictures featuring meetings between Sardar Vallabhbhai Patel and rulers of princely Indian states with regard to the merger of these states with the newly formed Indian union. An administrator par excellence Sardar Patel managed to bring out these mergers with great efficiency. Kulwant Roy was the first Indian photographer to document the famous Amarnath Yatra. As a caption in the section beautifully puts it, “The pictures eloquently unfold the stories of the mutual dependence between the yatra’s unsung heroes, the pony men, guides and porters and the long and curving lines of pilgrims treading across ice”. Photos of the Badrinath yatra, Kashmir landscapes, beautiful Assamese women, Chamba and rural India showcase Kulwant Roy’s photographic skills. There is also a 1956 portrait of the young Dalai Lama. There are pictures of lanterns and lantern-making units too. Did you know, lanterns were once the largest selling item in the country? Photographs of the construction of the Bhakra Nangal Dam add more diversity to the collection of Kulwant Roy. The exhibition is definitely worth visiting and is on till the 11th of November.